Getting back in the swing of things in civilian life can be tough for military veterans, and financial issues can often be a fact of life. Many vets find that without the regular service pay and benefits, they may not have the funds they need, and that when it comes to job experience, their service often doesn’t help them put together the type of resume that employers are looking for. 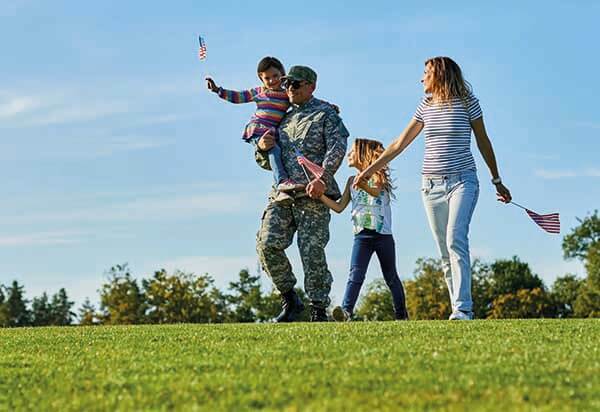 If you’re a veteran looking for a little cash flow until you get a permanent job, or you need some help consolidating debt, a personal loan can give you that little extra push over the finish line. While some unsecured personal loans can have high interest rates—especially if you have bad credit—by and large the interest rates are still lower than those of credit cards. If you’re having trouble paying off a loan or a credit card with high interest rates, then taking a personal loan with better terms to pay off the previous loan should give you some more breathing room. If you have multiple loans to pay off each month, it can be hard to keep things straight and make sure your head is above water. With a personal loan you can pay off all of the separate debts and then have a single loan to pay off. Just make sure it’s one with better rates, otherwise you won’t be saving any money. If you took out a mortgage with veterans benefits, or you have some sudden home repairs to take care of, a personal loan can help you get your house in the shape you want it to be. And with a sudden repair emergency, a personal loan can be the difference between taking care of the problem before it becomes worse and more expensive. If you need to take out a large personal loan to cover expenses after serving in the military, take a look at LightStream, which provides loans of up to $100,000. That said, with a minimum income of $50,000, these loans may be out of the range for many borrowers. The loans are also approved within a day or so, which is partly due to the fact that the company works mainly with customers who have pretty solid credit scores. The company also has no loan origination fees or prepayment penalties. LendingPoint is a flexible company that can definitely help veterans find personal loans even if they were turned away by another lender. The company doesn’t have a minimum credit score and requires a low minimum annual income of $25,000, so if you’re a veteran just getting started in civilian life, this can be a relief. The way the company does it is by looking beyond simply your credit score, taking into account your job history and income level as well as recent credit behavior when deciding whether to provide a loan or not. LendingPoint provides funding as soon as the next business day, but keep in mind that you will also have an origination fee of between 0% and 6% as well as often high APR rates. Online lending houses are a quick and easy way to receive a personal loan, and Eloan is no exception. The company provides users with small to medium-sized loans from as little as $1,000 to $35,000 with loan terms from 18 months to 60 months. The loans have a wide range of rates and the company looks at a variety of factors in your financial history before deciding whether or not to approve a loan and with which rates. You also won’t be saddled with any origination fees and you can get the money into your account as early as the following business day. LendingTree is another company devoted to making the process of securing a loan easier and more streamlined, including for people who may have been rejected elsewhere. The company facilitates personal loans of up to $50,000 with very flexible loan terms of up to 15 years. There also isn’t a minimum credit score, which can really help if you’ve been out of civilian life for a while and have little credit history or bad credit. LendingTree also doesn’t charge any fees for putting you in touch with a lender, and provides a wealth of educational resources, articles, and calculators to help you make sense of it all. Why go with LendingClub? Low minimum credit score and flexible terms. LendingClub is a peer-to-peer lending club that gives veterans a wide range of options, and by casting a wide net across a large network of lenders, it should be able to find you a loan that fits your budget. In addition, LendingClub can help you stay above water, with a hardship plan that allows you to freeze your loan for up to 3 months if you hit a financial rough spot. LendingClub does have some fees that you should factor into the equation. These include an origination fee of between 1%-6%, a check processing fee of $7, unsuccessful payment fee of $15, and late fees which can be either 5% of payment due or $15, whichever is greater. When getting back to civilian life, it’s important that you take steps that can help you achieve the life you deserve in the years to come. A personal loan can be a means to pay off some debts and get yourself on better financial footing moving forward. Before you sign on the (digital) dotted line though, make sure to look closely at the terms of the loans and at your income and ability to pay off the debt, just to make sure you don’t face any obstacles starting this new chapter.